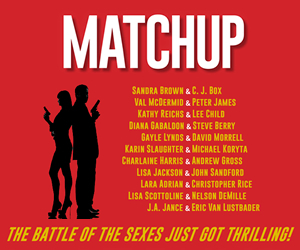 THE FOURTH MOTIVE was written as a sequel to my debut crime thriller, WOUNDED PREY, published in 2013. I wrote WOUNDED PREY in the mid1980s, when I was a young detective and struggling to come to grips with the depravity of the sexual predators I was hunting. 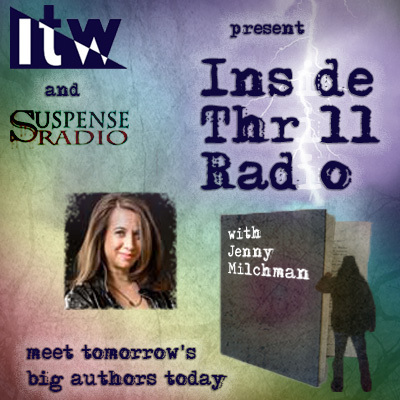 It was both a catharsis and a challenge to write, and it wasn’t until many years later that I had the courage to submit the work to the top thriller agent around, Scott Miller of the powerhouse Trident Media Group. The relentless Scott found a home for my work, and I am eternally grateful to him. WOUNDED PREY is as hard-boiled a book as you’ll find, and not for the timid. As a result, I thought it was a stand-alone novel. My editor at the time, bestselling author Emlyn Rees, convinced me that the characters and story I’d brought to life in WOUNDED PREY, a salty, burned-out rascal of a former big-city detective, and a green-as-guacamole rural rookie deputy, had some horsepower left in them. Emlyn felt they needed to be further inflicted on the literary world, and convinced me to take on a sequel. So more than a quarter century after writing WOUNDED PREY I completed THE FOURTH MOTIVE, the continuing saga of Farrell and Kearns. Like WOUNDED PREY, THE FOURTH MOTIVE pays homage to my previous profession of nearly thirty years, and to the crime-thriller genre which influenced my writing. I grew up on a diet of American-style crime thrillers. I devoured the works of authors like Raymond Chandler, Dashiell Hammett, Robert Parker and Mickey Spillane, and I cut my cinematic teeth on the films of Howard Hawks, John Milius, Walter Hill, and Sam Peckinpah. These storytellers crafted uniquely American tales. Regardless of era and location, they told westerns. Narratives typically featuring a lone troubleshooter, eschewed by peers, reviled by townsfolk, and feared by enemies; a reluctant hero, or anti-hero, in some cases, who answers the call to face off with an adversary because he’s the only one who can. Surprisingly, I discovered a lot of parallels between the literature I’d read and the profession I’d chosen. Despite the constant glut of police dramas in popular culture, I soon learned that American police are generally very misunderstood. I found law enforcement a closed society for a number of reasons, not the least of which was the fact that cops are so misunderstood. 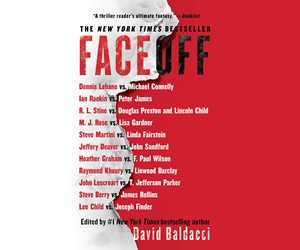 More importantly, I learned that the challenges, hardships, sacrifices and traumas experienced as a cop can be as compelling as any tale ever penned by a thriller writer. I have to couch a lot of what I write, and a lot of it has to be toned down. Quite frankly, (if you have a cop in your family I’ll bet he or she will tell you the same thing), the actual cases and human behaviors police deal with in real life are infinitely more bizarre than anything which could be crafted from a writer’s imagination. At least that’s how I see it. Many of the characters in my books are loosely based on people I’ve known. I suspect a lot of writers do this; change a feature, embellish a quality, diminish a characteristic, but keep the essential tone of the person not only because they’re interesting and convey the story, but because they’re real to the author. Is Peter Seller’s Dr. Strangelove really based on Henry Kissinger? Is John Goodman’s character Walter from The Big Lebowski really John Milius? Is Tom Cruise’s Maverick really Vietnam era fighter ace Duke Cunningham? Only the authors of those classic films know the truth. The plot of THE FOURTH MOTIVE, like its predecessor WOUNDED PREY, requires the protagonists to work outside the system to accomplish their mission; a common theme in classic western-style thrillers, and a reflection of a personal philosophy based on my own experiences. I was a cop for most of my adult life, yet I live by the adage, “When seconds count, the police are only minutes away.” At its heart, THE FOURTH MOTIVE is a story about a father who will do whatever it takes to save his daughter, regardless of the legality of his actions. This father would rather keep his daughter alive by breaking the rules, rather than bury her by the book. The fact that the father happens to be a superior court judge makes the tale all the more compelling. Most cops carry guns off-duty because they, better than anyone, know how effective, or ineffective, the police can be when you or your loved ones are face-to-face with a lethal threat. In THE FOURTH MOTIVE, Farrell and Kearns, like the judge who hires them, know all-too-well that in America we have a legal system, not a justice system. Farrell and Kearns believe what most cops know; it’s better to be tried by twelve than carried by six. 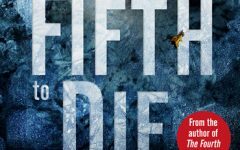 I hope readers of crime thrillers will find enjoyment in THE FOURTH MOTIVE, and wish to thank the fine folks at THE BIG THRILL for this opportunity to provide a peek at the machine behind the curtain. 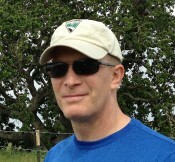 Sean Lynch was born and raised in Iowa, holds a bachelor’s degree in sociology, served in the army as an enlisted infantryman, and spent almost three decades as a law enforcement officer with a municipal police department in the San Francisco Bay Area. He retired at the rank of lieutenant and as commander of the detective division. 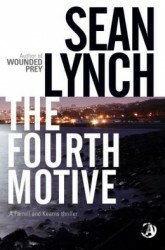 THE FOURTH MOTIVE is the sequel to Sean’s 2013 bestselling debut, WOUNDED PREY. To learn more about Sean, please visit his website.